When it comes to everything from jobs to nightlife, Arlington comes out on top. At least that’s according to a recent ranking of the ‘2018 Best Cities for Millennials in America’. The ranking, from Niche.com, details where millennials have the best job opportunities, access to restaurants and bars, plus have the ability to gain affordable housing. It also takes into account the number of young professionals and millennials who live in a particular area, specifically those between the ages of 25 to 34. It then measures things like the rate of higher education, crime and safety, the employment rate and the amenities and walkability of a particular location. 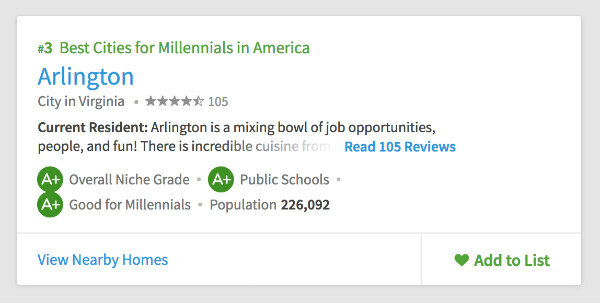 Arlington gains top marks for its public schools and its job opportunities. As well, the city is credited as a good place for families and its credited for its diversity. 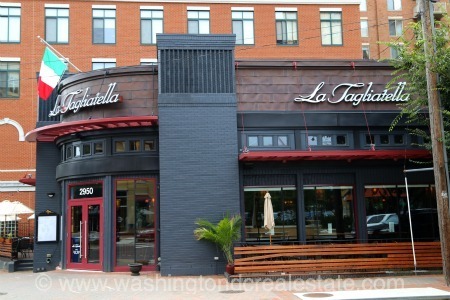 Overall, the DC area continues to prove especially appealing to millennials and young professionals. 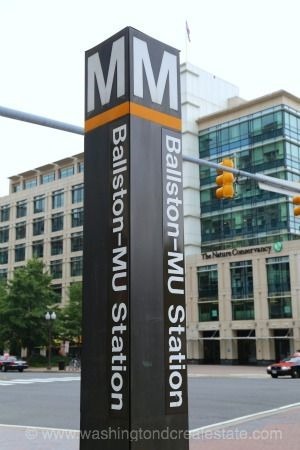 Recently, personal finance site WalletHub came out with its own list of the best places for millennials, and this time Washington DC is at the very top of the list. 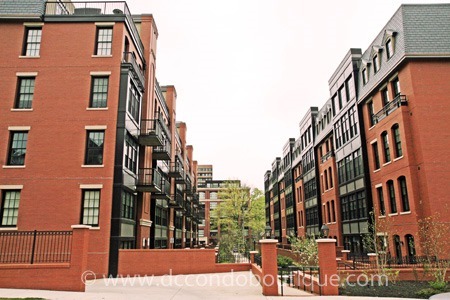 The publication credits DC for its quality of life, health and education. In those categories, DC ranked in the number one spot. The city took the number 16 spot for economic health, only ranking low for affordability. WalletHub took into consideration each of the 50 states plus Washington DC, looking at a total of five factors. Those included health and education, economic health and quality of life. As well, they also factored in civic engagement and affordability into the overall ranking. Once those five categories were evaluated, each state and DC were then ranked by how well people in their 20s and 30s are able to thrive living in the area. DC leads the pack, followed up by North Dakota, Minnesota, Massachusetts and Iowa.